College applications... words that seemed so distant 17 years ago are now nearly an every day part of our vocabulary. 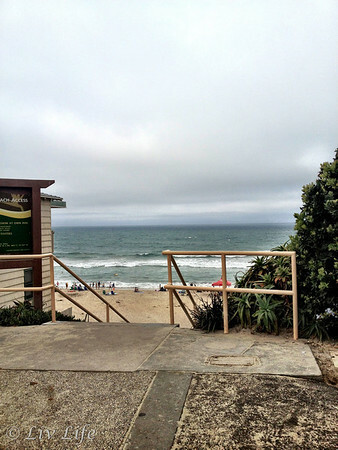 Doing due diligence, our travels this summer took us on a California college tour including Cal Poly, UCSB and UCLA. 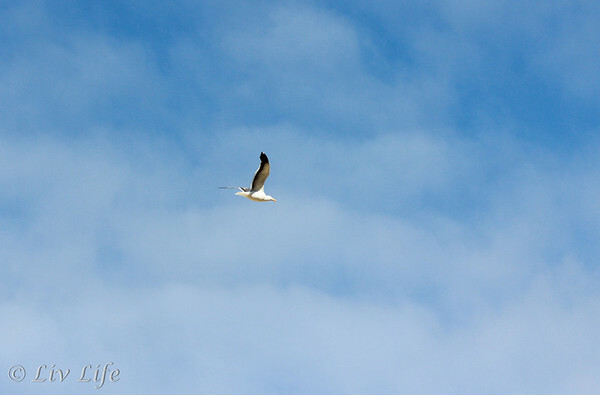 Overnighting in one of my favorite central coast towns, San Luis Obispo, I eased my college anxiety with a visit to the SLO Farmer's Market, time in Morro Bay (see yesterday's post on Morro Bay) and also enjoyed a fabulous breakfast at the esteemed Big Sky Cafe. After driving a little over 6 hours on our trek from San Diego, our schedule just happened to mesh perfectly with the weekly downtown San Luis Obispo Farmer's Market, held Thursday's from 6-9 PM. Covering some 5 blocks on Higuera Street - between Osos and Nipomo Streets - the road is closed to car traffic as rows of vendors fill the area with many intersections featuring live music and entertainment. Incredibly popular, the mid-market hours find the area packed with locals and tourists alike as people fill up on produce for the week or simply fill up on BBQ for dinner. 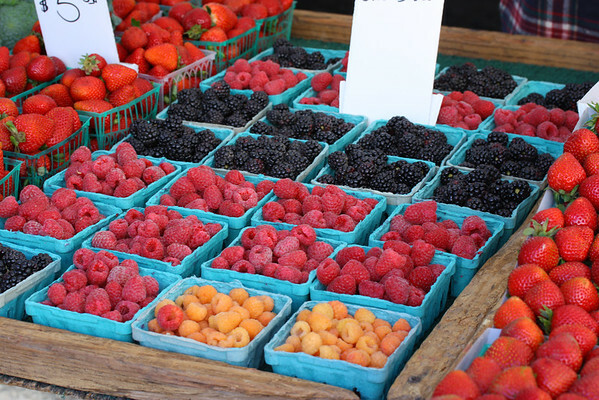 One end of the market features a plethora of prepared food choices ranging from homemade pasties to Indian dishes to tender BBQed ribs and artichokes, while the other boasts the bounty of the area with tables overflowing with produce. 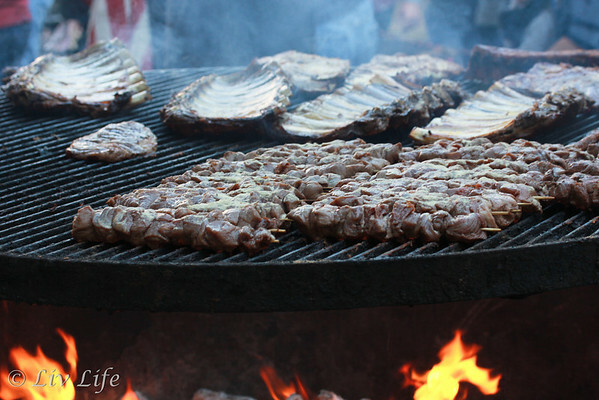 While we didn't wait in the 2 block long line for McLintocks BBQ, one couldn't help but stand and watch the grilling guys who sang and cheered their way through the evening. 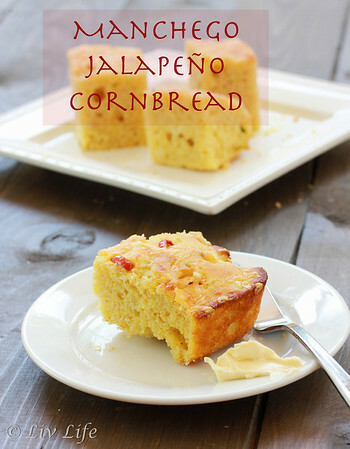 Cheerful bouts of laughter resounded as customers made their orders of grilled corn, artichokes and the famous McLintock Tri-tip, and happy faces eagerly received their loaded plates of bounty. The incredible aroma, wafting for blocks, will easily lead you to their location, which I hear is most definitely worth the wait. Taking a gander around town, we made a point to stop at a San Luis Obispo landmark... Bubble Gum Alley. Whether your thoughts turn somewhat to disgust or pure fascination, the alley is worth a peek. 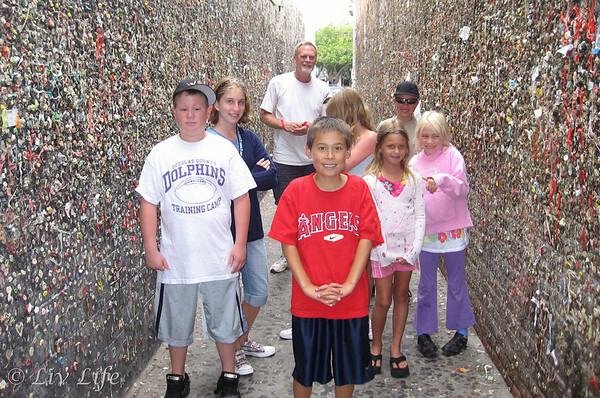 Legend has it the bubble gum in the alley began to accrue sometime in the 1950's as a rivalry between SLO High School students and those from Cal Ploly (though it has also been said that the gum may have began as far back as WWll as a SLO High School graduation event). 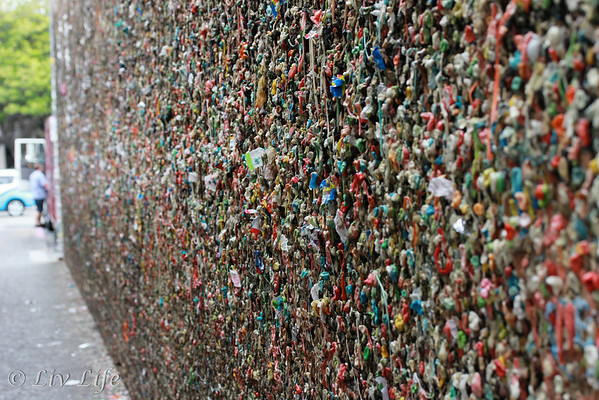 In any case, Bubble Gum Alley has been very "gummy" since at least the 1970's and has been growing every since. 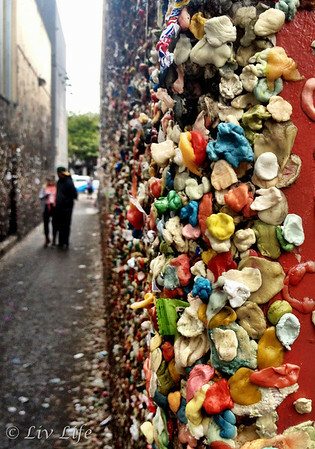 Located between 733 and 734 Higuera Street, the alley walls are covered with vibrant wads of chewed gum. 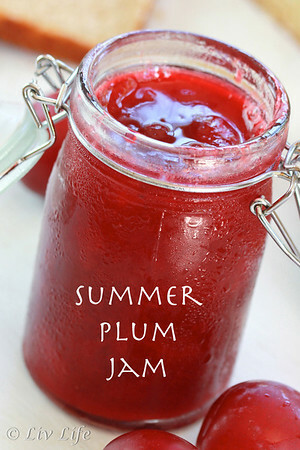 Have you left some on your visit?? While we didn't leave our mark, we did watch a young couple fashion their chewed gum into an artistic heart, marking their love on the wall forever more. 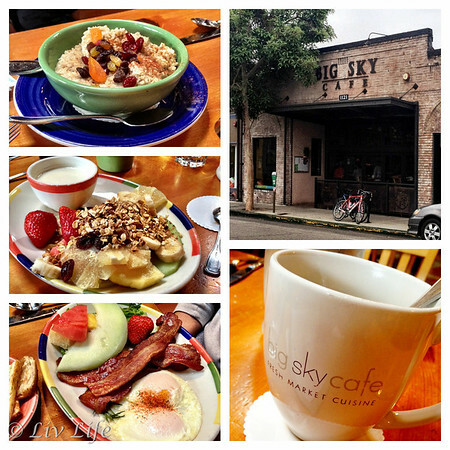 Big Sky Cafe... what a treat! With breakfast served until 1 PM and dinner menu beginning at 4:30, all day is covered (they are open for lunch as well) with healthy, fresh choices. Offering a comprehensive menu in addition to vegetarian and vegan options, everyone is sure to find something to suit their tastes, and I loved the local and organic resources. Breakfast for us began with good (and I mean really good) coffee and juice quickly followed by our entrees of eggs, oatmeal and a fabulous yogurt/fruit/granola parfait which I selfishly refused to share. My son gushingly commented on the bacon which he refused to share, and my husband devoured his perfectly cooked steel cut oatmeal and ended up ordering a fruit plate of his own. Heading out of town on our way to UCSB and then home, we all three reflected on our stay. 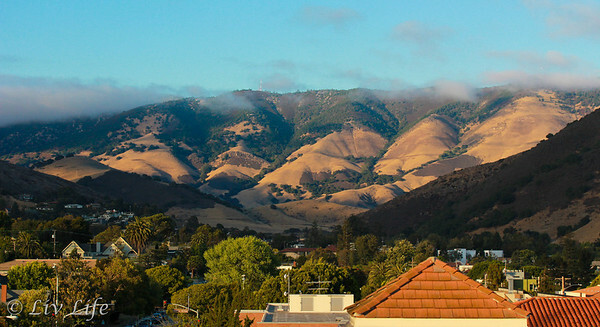 My son loved the campus as well as the towns of SLO and Morro Bay, but more importantly (teasing!) so did I. Stamping my whole hearted approval on this college possibility I know I'll be happy visiting often should this be his final decision. If not, I'm happy to visit anyway! Perusing my iPhoto Library, this shot turned up from exactly 7 years ago to the day of our 2013 visit to Bubble Gum Alley. That's Liv on the right in the pink... 4 of the other kids are beginning their own college searchs this year. Dave, the man in the back, is a good friend of ours and a Cal Poly graduate. He insisted the wall was a must see and the kids loved it! Notice from the photo above how the gum goes so much farther down on the walls. 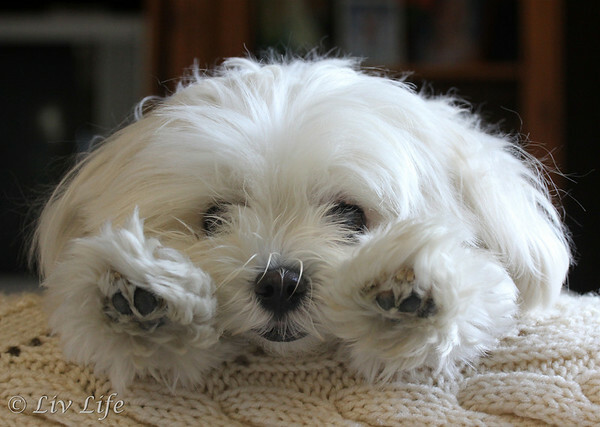 I keep looking for the button to slow life down, but I just don't seem to be able to find it. When they handed me that squirming 9.5 lbs of boy baby some seventeen years ago I felt as though I had eons until the words "college tour" would become a regular part of my vocabulary. 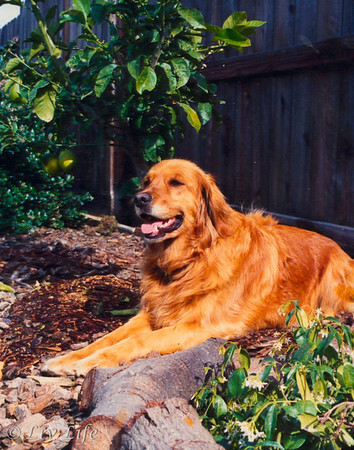 Well... those eons have passed all too quickly, and last weekend became a real SLO weekend. San Luis Obispo, that is for a college tour of CalPoly. 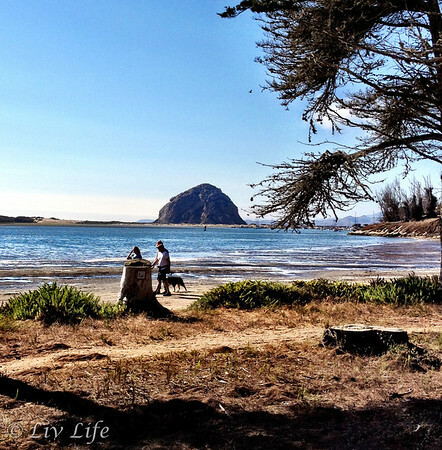 Having camped at the Morro Bay Campground, our love of Morro Bay goes back many years. A quaint, sleepy town on the edge of the water, SLO is an ideal location for a weekend getaway and leisurely walks by the bay. Morro Rock, with its 23 million year volcanic history, remains one of my favorite San Luis Obispo sites. At 576 feet, Morro Rock is the smallest of the chain of Nine Sisters (a chain of volcanic peaks and hills between Morro Bay and San Louis Obispo) and in February of 1968 was declared a California Historical Landmark. Considered a sacred site to the Salian and Chumash and dating as far back as 6500 BC, Morro Rock was first charted in 1542 by Portuguese explorer Juan Rodriguez Cabrillo who dubbed the rock "El Morro" due to its resemblance to the Moor's head-wraps. 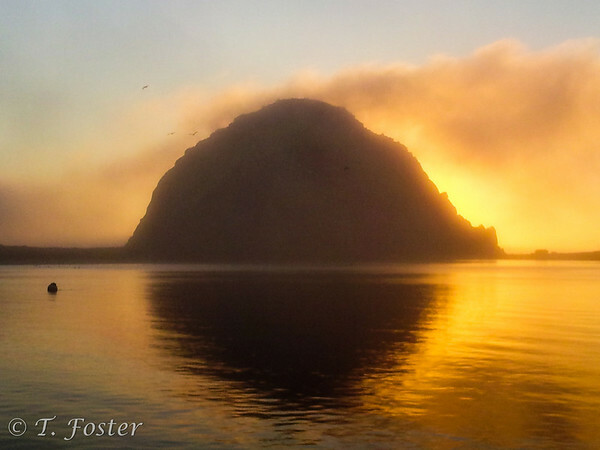 Today, the Chumash remain the only people legally allowed to climb Morro Rock for their annual solstice ceremony. 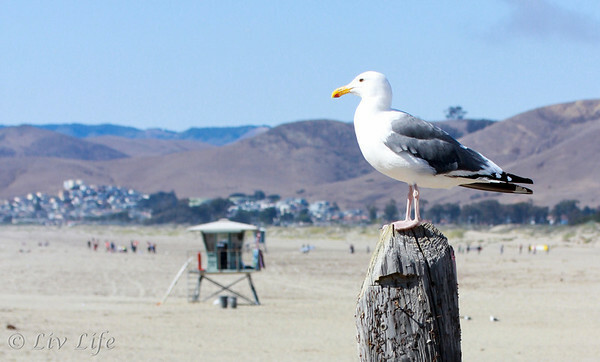 Popular with tourists and locals alike, Morro Rock also serves as a sanctuary to the endangered peregrine falcons who are joined by 3 species of cormorants and 2 species of gulls who nest in the rock's crevices. Sea lions and otter regularly swim in the waters surrounding the rock and seals also breed in the nearby lagoons. 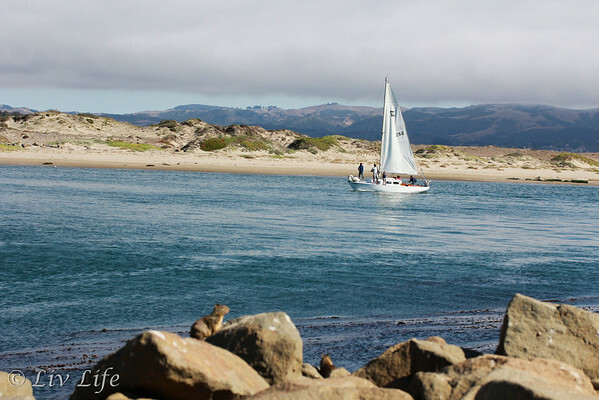 Whether camping at the Morro Bay Campground, staying on the water's edge in Morro Bay or downtown San Luis Obispo to visit Cal Poly (we were very happy with our stay at the La Cuesta Inn - but don't eat at the Apple Farm Restaurant across the street. 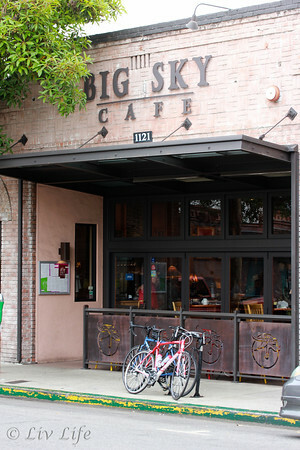 Big Sky Cafe was a much better choice! 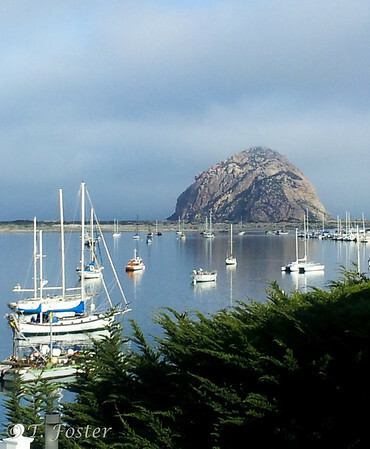 ), Morro Bay brings stunning vistas and becomes a lovely, peaceful stop while visiting this Central California area. 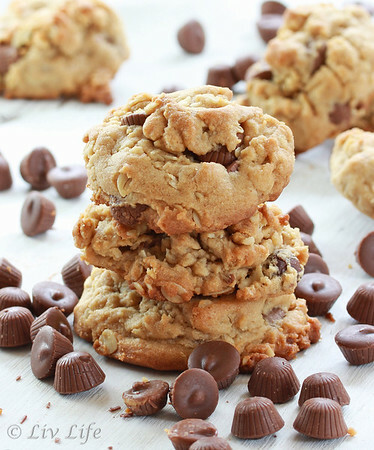 Peanut Butter, oatmeal, and peanut butter cups... 3 ingredients leading to positively perfect peanut buttery heaven. Add in those other cookie ingredients (flour, sugar, etc) and we have a cookie that tempted me to hide the batch and not share with a soul. Caught in the act, Liv and her brother twisted my arm eagerly grabbing what they claimed to be their "fair share". Needless to say, this batch didn't make it to morning. 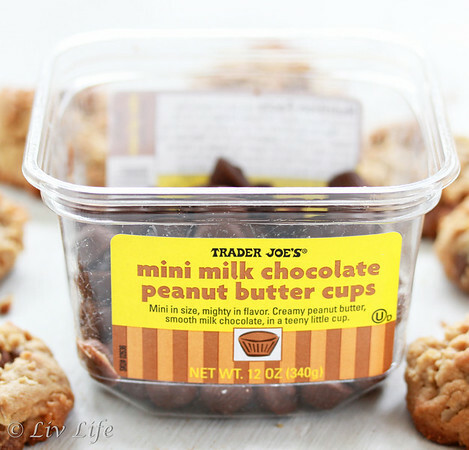 Have you tried these Trader Joe's Mini Peanut Butter Cups?? Let me just say we had to return to the store more than once as they somehow seemed to evaporate before we actually got the cookies made. 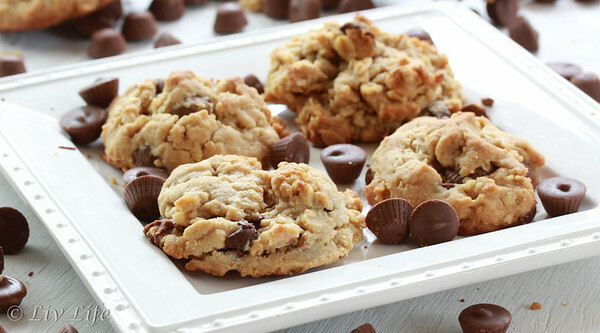 Little bites of peanut buttery awesomeness, they added an outrageously incredible bite to the soft, puffy cookies. I must also note that the cookie dough test (we do test all of our cookie dough, but we suggest you do so at your own risk due to the raw egg content...) was unquestionably amazing. I may or may not have maneuvered my spoon gathering a few extra mini pb cups during the test, but I can without a doubt proclaim perfection. 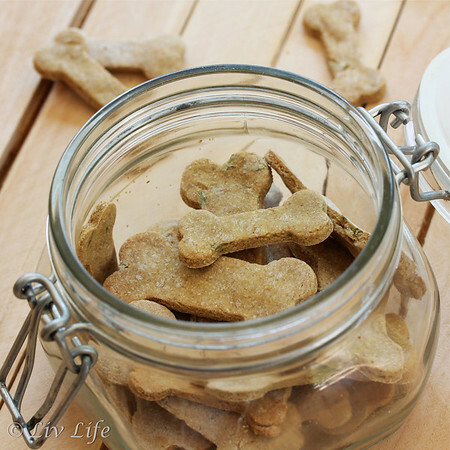 Peanut Butter Lover's unite!! 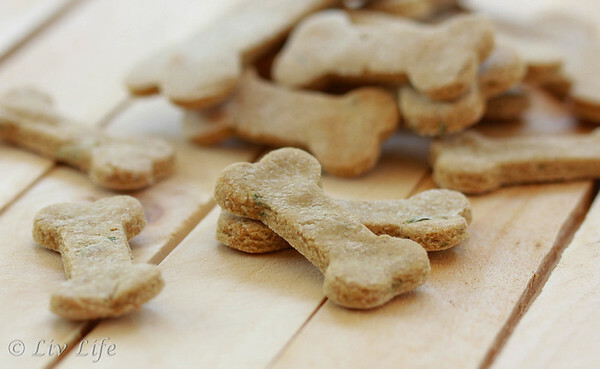 This cookie is for you! A Green Thumb I have not, and as such most plants in my care tend to live somewhat abused lives due to a simple lack of water. Orchids have withered on my shelves, potted tomato plants have been seen wilted and gasping for breath, and petunias have seen better days when given proper water. Mint, though, is a different story. Years ago I brought home a beautiful, emerald green, perfect mint plant from the local farmers' market with a warning from the vendor that the roots tend to be somewhat aggressive. With my past history of plant growing, very little worry entered my mind and I actually never even planted the beautiful herb in my garden. Six months later as I went to move the pot, I found the little guy had rooted itself through the holes in the bottom, thereby explaining how he had lived even though his water source had been sparse. Cleaning for winter I tossed the overgrown, flowering plant and promptly forgot I had ever grown a mint plant. 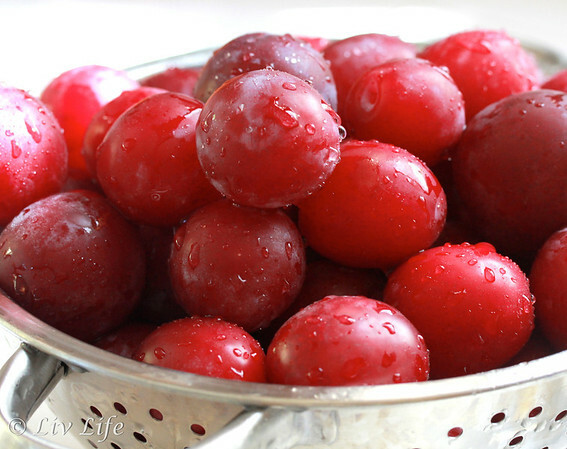 Until this spring. Along with my snapdragons (they thrived beautifully with my husband's loving care), little shoots of the brilliant green herb popped up where the old pot had been.... as well as on the other side of the garden, and as well as numerous other spots in between. Aggressive roots indeed, but a hardy little guy who seems to be a survivor. 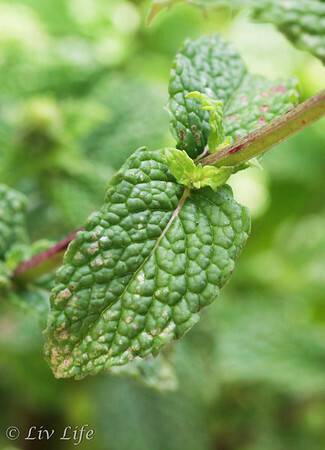 With mint back in my garden, the fragrant, flavorful leaves have been finding their way into my daily iced teas as well as into my salads. 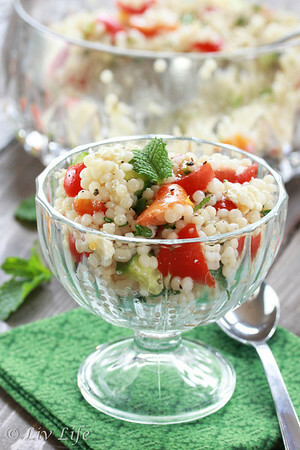 Bringing a clean and fresh element to recipes, mint became a welcomed addition to my Israeli Cous Cous concoction and had me repeating the recipe twice in a week with resounding reviews from the whole family. My mint... it's the little plant that could.